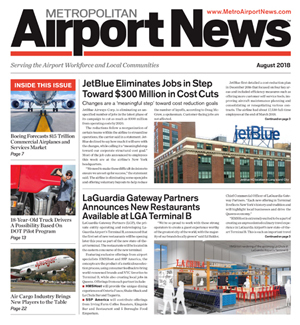 “The opening of the first new concourse and gates at Terminal B marks another significant milestone in the transformation of LaGuardia Airport into a modern, global gateway that is worthy of the State of New York … and now travelers from across the world will start to see and experience a whole new LaGuardia,” said Governor Cuomo. 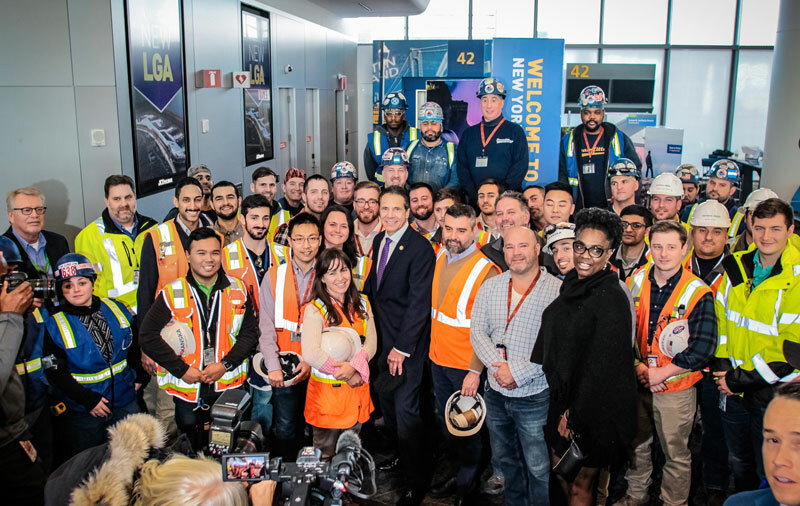 In July Skanska opened a new flyover roadway to LaGuardia Airport from the Grand Central Parkway’s Eastbound Exit 7, the primary roadway or overpass for vehicles accessing the airport. 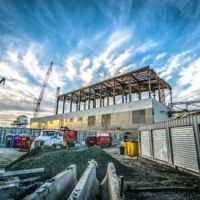 This flyover was the first and most important of 18 new bridges Skanska is constructing to improve traffic flow at the airport, with 15 existing old or obsolete bridges scheduled to be demolished by mid-2021. 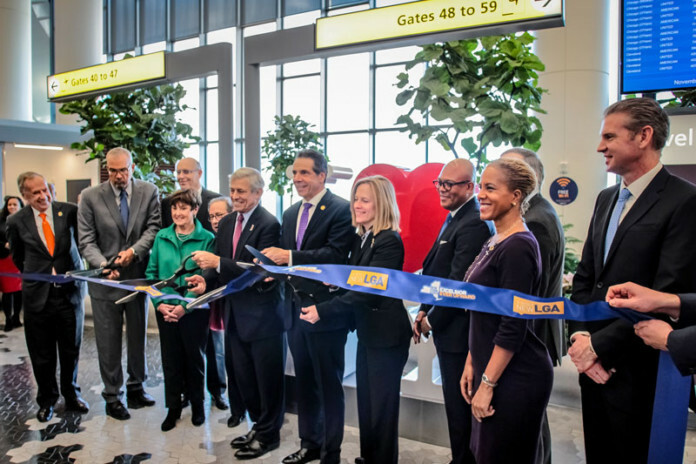 The new Eastern Concourse is designed with soaring 55-foot high ceilings and floor-to-ceiling windows that allow ample natural light to fill space, which includes an indoor park with benches, landscaping and real trees. 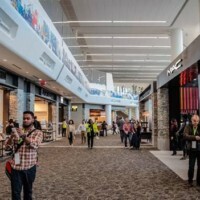 Charging stations are placed throughout the gate seating areas, with free, fast and unlimited high-speed Wi-Fi enabling travelers to surf, search and stream while they wait. Family amenities include an airport-themed children’s play area, family-friendly restrooms and a private nursing room. Large, modern restrooms include spacious stalls and above-sink shelves designed to keep belongings dry. 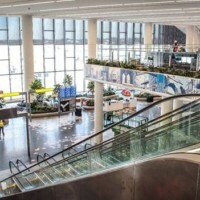 View of Concourse B from the mezzanine level where the airline clubs will be located. 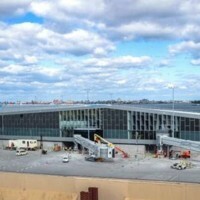 View from the North leg of new airside space and Concourse B’s passenger boarding bridges. 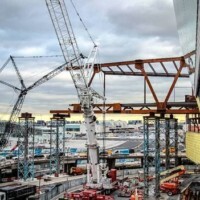 The new Central Heating and Refrigeration Plant (CHRP) and the steel for the new Central Hall. The CHRP houses new chiller, boiler, emergency power, and fire safety systems and replaces the existing mechanical plant. 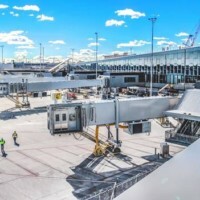 Once fully phased in, the existing plant will be decommissioned and demolished to permit the construction of a new elevated passenger bridge that will connect Concourse B to the main Headhouse building.